Ari Ofsevit and James Aloisi write an open letter to Gov. Raimondo in CommonWealth Magazine in response to her call for express commuter rail service between Providence and Boston. But rather than single express trains serving a few commuters, we respectfully suggest low-cost, common-sense improvements that would benefit everyone. At our non-profit TransitMatters, we’ve been doing a lot of thinking about how to improve intercity rail in Massachusetts (we will be rolling out a regional rail white paper before the end of the year). We believe that better service is a combination of improved speed and frequency, providing a wider range of benefits in many corridors. The good news is that in the Boston-to-Providence corridor, there are two relatively low-cost steps — high-level platforms and electrification — that the MBTA can take (perhaps with Rhode Island’s help) that would significantly improve service between these two dynamic cities. I believe the writers made some good points, and the RI Association of Railroad Passengers will write to the Governor to ask her to take it seriously. It will also be brought up at the coming RIDOT Roundtable they hod with the environmental community Monday next week. RIARP had some discussion as to whether or not dual mode locomotives (can run on either overhead electric power or diesel and thus not all the facilities would need the wires) would be a good intermediate step, it needs further investigation. One problem is that it is rarely easy to get cooperation across state lines, needed here. 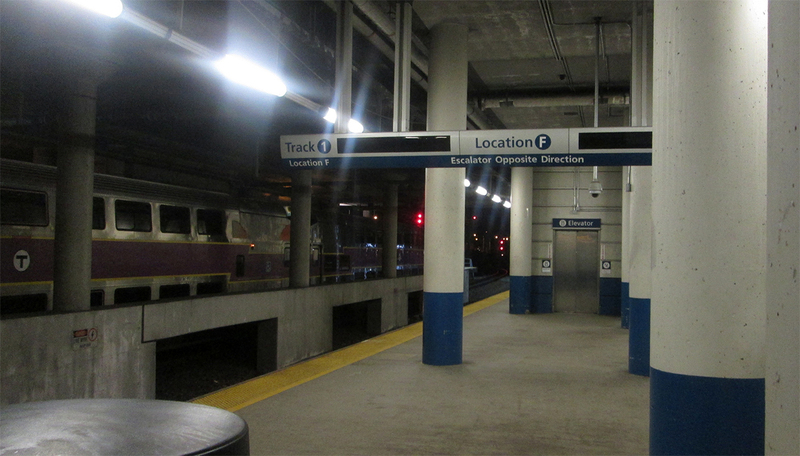 RI already has the high level platforms but not the electrification (at the storage yards the MBTA uses and on the FRIP track, and at the Wickford Jct siding) while most MA commuter rail stops do not have the high level platforms. At least the state’s establishment has come to understand the importance of our Northeast Corridor location to the state economy, connecting us to NY and Boston powerhouse economies. Unfortunately, not enough see the potential to have the system also serve commuters TO Providence and the other RI stations, and the potential of transit to help the environment, especially if the cleaner electrification can be accomplished. Also the environment community, largely focused only on electric cars, has also generally been missing from the discussion about electrification of commuter rail. The Rhode Island & Massachusetts Departments of Transportation, Massachusetts Bay Transportation Authority & Rhode Island Public Transit Authority should look into starting an electrified commuter rail line between Boston, Attleboro Pawtucket, Providence TF Green Airport & Wickford Junction called the Metropolitan Boston & Rhode Island Commuter Railway-Ocean Stater (Note: This will be almost like the MBTA Cape Cod RTA’s Cape Flyer) using AEM7 Electric Locomotives in both MBTA & RIPTA Colors & the standard MBTA Hyndi-Rodem Double Decker coaches & cab cars. The Rhode Island & Massachusetts Departments of Transportation Massachusetts Bay Transportation Authority & Rhode Island Public Transit Authority should look into electrifying the Commuter Rail Line between Boston, Providence TF Green Airport & Wickford Junction and call it the Metropolitan Boston & Rhode Island Commuter Railway. The commuter rail line will use AEM7 Electric Locomotives in MBTA-RIPTA Colors with MBTA Hyndi-Roden Double Decker Commuter Railcars. This is to call attention to there being only this weekend and next left to take advantage of the MBTA’s summer $10 weekend commuter rail pass good from the first train on Saturday thru to the last last train on the next day, Sunday. Remember, weekend trains carry bikes at no extra charge. mbta.com has schedules. Those who imply that express trains (Prov to Boston) are not absolutely necessary, have likely never been subject to this soul crushing commute. Express trains are 100% necessary.